Wow, what a great lineup they have on tap for 80s Metal Fans on this cruise! If you are a fan of the old Headbanger’s Ball on MTV, this is a must. Created for fans of 80s Hard Rock music, the Monsters of Rock Cruise sails from Fort Lauderdale, FL to Key West and Nassau, Bahamas from February 25-28, 2012, showcasing legendary bands including Cinderella, Tesla, Kix, Stryper, Y & T, UFO and more. This high seas festival plays like a fantasy camp for hard rock enthusiasts with non-stop entertainment, activities and fun…the party never ends! Journey’s 1981 hit “Don’t Stop Believin” has made several poignant appearances over the past handful of years, rejuvenating our spirits with its powerful and trademark 80s positive, uplifting, and energetic riffs. First, the Chicago White Sox adopted it as their anthem en route to the 2005 World Series. Then, it served as the closing soundtrack to the final moments of the HBO hit series The Sopranos. More recently, its popularity was revived again when it was featured on the hit TV show Glee. 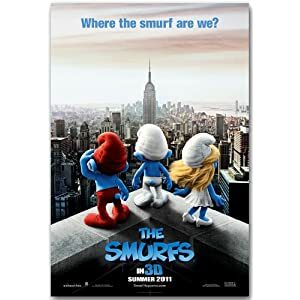 The Smurfs, the latest box office phenomenon to hit the big screen, used to light up our small screens every Saturday morning as an animated series. We fell in love with those little blue creatures, and let’s face it, Papa Smurf probably ended up teaching us more life lessons than our own parents did. Nothing makes a more ironic, and thus awesome, fashion statement than rocking throwback wardrobe items that speak to your love of the 80s. I’m sure you’ve noticed that 80s t-shirts are on the rise. It seems everywhere I look there’s someone sporting a Madonna or Top Gun tee. For a kid who spent all his time next to an enormous tape deck rocking out to 80s tunes, nothing shows off my love of the 80s like this funny t-shirt. You can then add a short blurb at the end of the article describing who you are with a link back to your own 80s blog/website. Thanks for helping keep the 80s Alive! Ok 80s Fans, time to take a look at what has been going on this summer related to our favorite decade.. 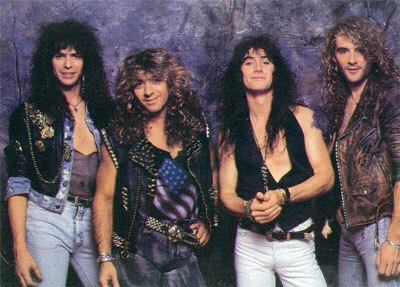 The 1980s! The Smurfs are back! This time on the big screen. Sade talked to Thomas Conner of the Chicago Sun-Times about her new album being very similar to her music from the 80s. Like Totally 80s interviewed original MTV VJ Alan Hunter. 80s Metal Stars Nikki Sixx, Phil Collen, Sebastian Bach, Sammy Hagar, and Tracii Guns spoke to Spin.com about Nirvana’s ‘Nevermind” helping usher out 80s Metal. Stuck in the 80s is looking for help compiling the best guy movies of the 80s. The Kickin’ It Old School blog interviewed David Sterry of Real Life and actor Scott Schwartz from A Christmas Story and The Toy. Billboard did a poll asking their viewers what their choice was for the best video of the 80s The winner of course was Michael Jackson’s Thriller. The Care Bears are coming back..
TNT has given the go ahead for a reboot of the 80s prime time soap “Dallas” with original stars Larry Hagman, Patrick Duffy and Linda Gray. Space Invaders is the latest 80s video game to become a movie. Speaking of 80’s movies, Footloose and Ghostbusters are the latest ones scheduled for a remake. 80’s rapper Tone Loc found himself in trouble with the law. Tom Keifer says there are no plans for a new Cinderella album. The Cabbage Patch kids get a TV Special. Celebuzz has pictures of Julianne Hough in her 80s garb during filming of the new Rock of Ages movie. Well, thats all for this edition.. Thanks for helping to keep the 80s alive! Debbie Gibson and Tiffany joined forces for a summer tour starting with a performance on ABC’s “Good Morning America” Summer Concert series, Friday, July 29. Kickin’ it Old School interviewed Nick Richards from Boys Don’t Cry, Marv Ross from Quarterflash, the beautiful Catherine Mary Stewart, and John Wetton from Asia. Terry Ilous, the lead singer of 80’s metal group XYZ, has organized a 80s rock reunion that will benefit the tsunami victims in Japan. The show will feature members of some of the top metal/hard rock bands from the 1980s and will take place at Harper’s Bar & Grille in Reseda, CA on April 16th. A live streaming of the event will be done by Front Row Entertainment at http://frontrowent.tv/. So far, Ilous has gotten commitments from Chris Slade (AC DC, The Firm), Rudy Sarzo (Whitesnake, Ozzy Osbourne, Blue Öyster Cult), Brian Tichy (Whitesnake, Foreigneer, Billy Idol), Richie Kotzen (Poison, Mr. Big), Juan Croucier (RATT), Jon Levin (Dokken), John Payne (Asia), Teddy Zigzag (Guns N’ Roses), James Lomenzo (Megadeth), Marco Mendoza (Thin Lizzy/Whitesnake), Robin McAuley (Survivor /Msg), Simon Wright (Dio/AC DC), Robert Sarzo (Hurricane) and Mitch Perry (MSG/Asia). TheInsider.com’s Nicole Dabeau recently met up with her ’80s music idol Debbie Gibson. During the talk Debbie revealed she is planning a major “Tina Turner/Cher” style comeback. Check out the video of the interview and let’s hope Debbie is successful with her new album! The Washington Post has a great article about the comeback of 80’s singer El DeBarge. He has his first new album out in 16 years and it earned two Grammy nominations. El DeBarge is best known for his huge hit “Who’s Johnny” which reached #3 on the Billboard Hot 100 chart in 1986. He also had a string of hits with his family in the band DeBarge, including “Rhythm of the Night” and “Who’s Holding Donna Now” in 1985. Top Songs- All of them! But for the 80s it would be.. The Hollywood Reporter is reporting that Tom Cruise is in final negotiations to co-star in Rock of Ages, New Line’s adaptation of the hit stage musical about 1980s rockers. He will be playing the role of “Jaxx”, who sings Bon Jovi’s Wanted Dead or Alive in the theatre production.